Following a majority vote of the North Carolina Senate, the General Assembly of the state has now approved the amendment of a statutory article – the North Carolina Money Transmitters Act. The move will see the term “virtual currency” added to the existing law. 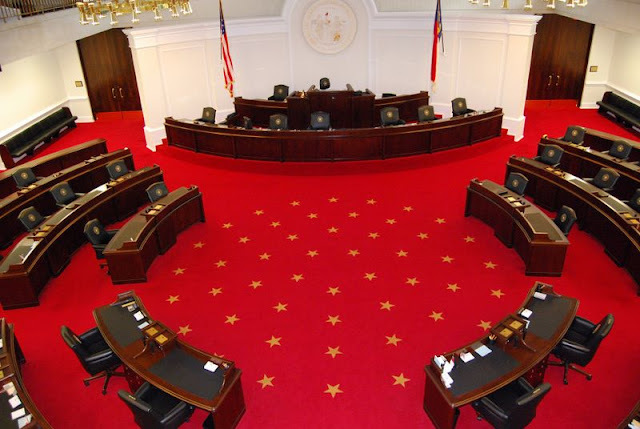 Bitcoin exchanges and other industry companies in North Carolina will now be mandated to obtain a money transmitter license following a vote by members of the North Carolina Senate. In May 2016, North Carolina state’s House of Representatives overwhelmingly voted in a 117-to-1 vote, seeking the update before the recent approval from yesterday saw the state’s Senate join in with the same vote. The approved update proposal does not mention bitcoin specifically, instead including virtual currencies within the newly voted-for measure. The amendment to the bill [PDF] is seen by many industry advocates as a measured approach to regulation of bitcoin and the wider digital currency and blockchain industry. The passage of this act into law is good for business, jobs and innovation in North Carolina. The CDC had recently met with the state’s Senate Finance Committee seeking further clarifications about the bill whilst heralding the proposal as a “business-friendly regulatory approach”, unlike the stance taken by New York state. The third reading of the bill saw 45 members vote for the change, with three members voting against it. The bill is now headed to the table of Governor Pat McCrory for his approval.